Fruit abounds in this basket. 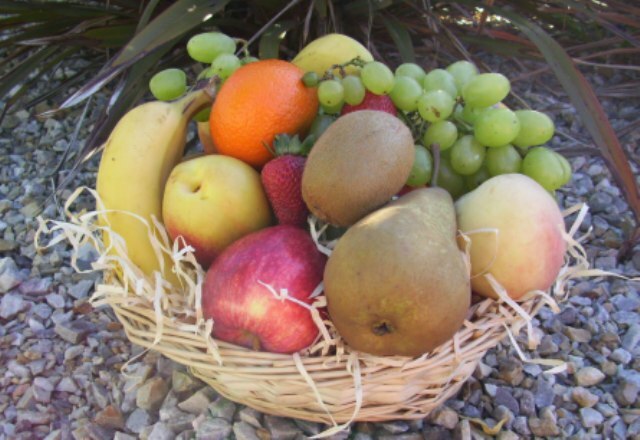 This generous selection of delicious fresh fruit is presented in a basket . A classic gift for any occasion. To ensure your gift is of the highest quality, contents may vary seasonally. Fruit basket is wrapped in cellophane. Will include pears, apples, bananas, oranges/mandarins and strawberries. When ordering please place type your card message in the "Customer Notes" Section as well as any other relevant delivery instructions.